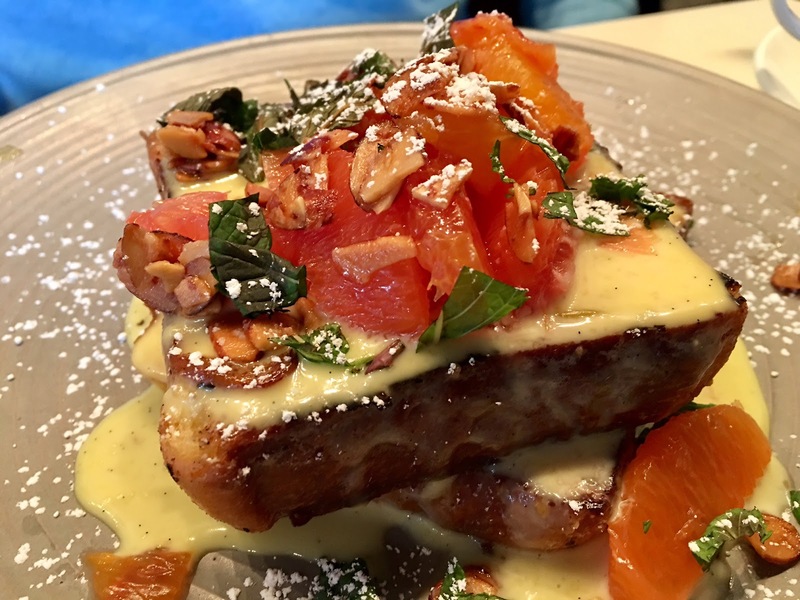 Hands down the most read and commented post on my blog is the 10 Eateries in Maui That Will Blow Your Mind. It was my first post dedicated to food and I'm so glad to know everyone enjoys food as much as I do, especially while traveling! One thing I do before a trip is research local food spots. I'm all about trying places that are hyped up, whether it's 'touristy' or not (because really, who cares? I discussed that a little on this post). 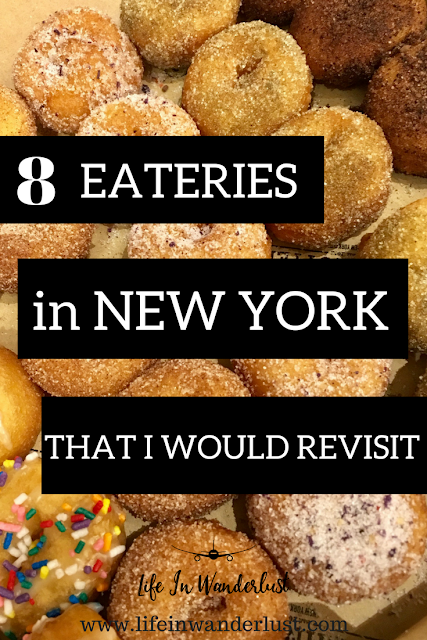 Since New York is the mecca of food, I knew I had to try as many places as my stomach could handle! I have a few close friends from Tokyo that live in New York and I would be lying if I didn't stalk their Instagram Stories. They always have little bags of Doughnuttery donuts and I knew I had to have some! 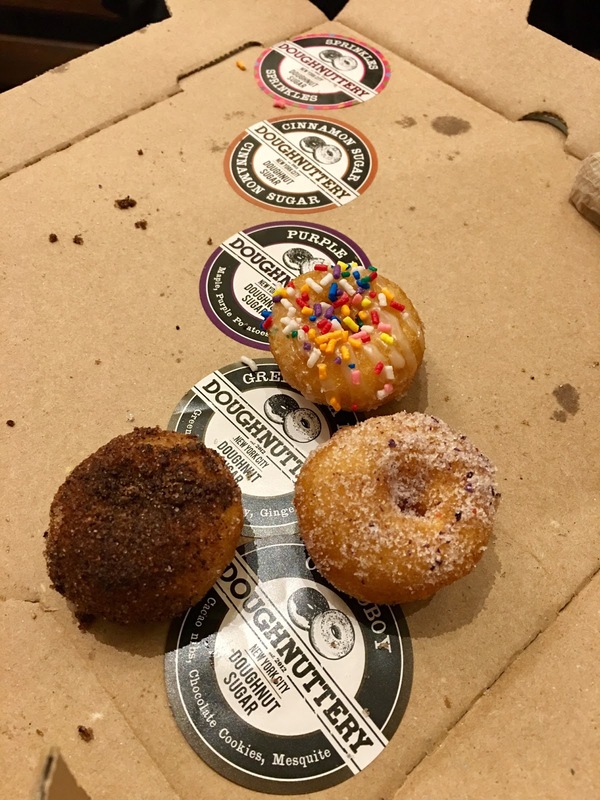 Doughnuttery has a few locations throughout New York and you can thank me after you visit. 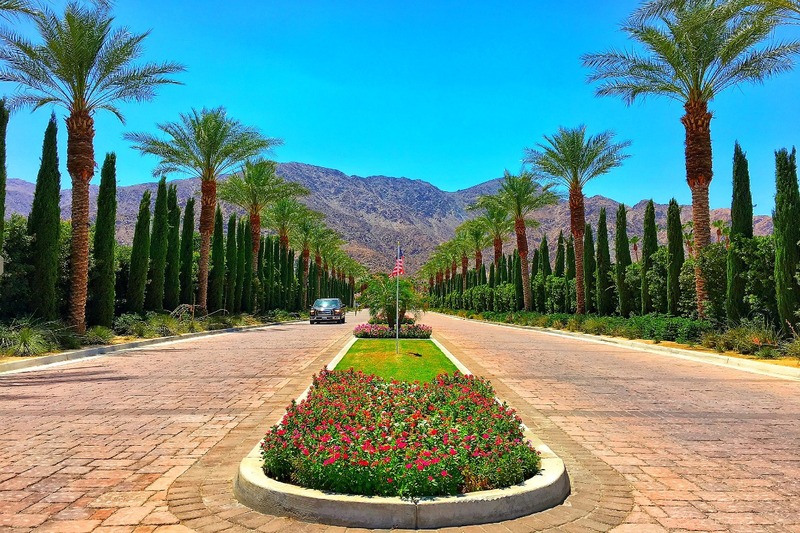 I went to their Plaza Hotel location and wasn't disappointed. Their donuts are miniature, fresh and have delicious flavors! 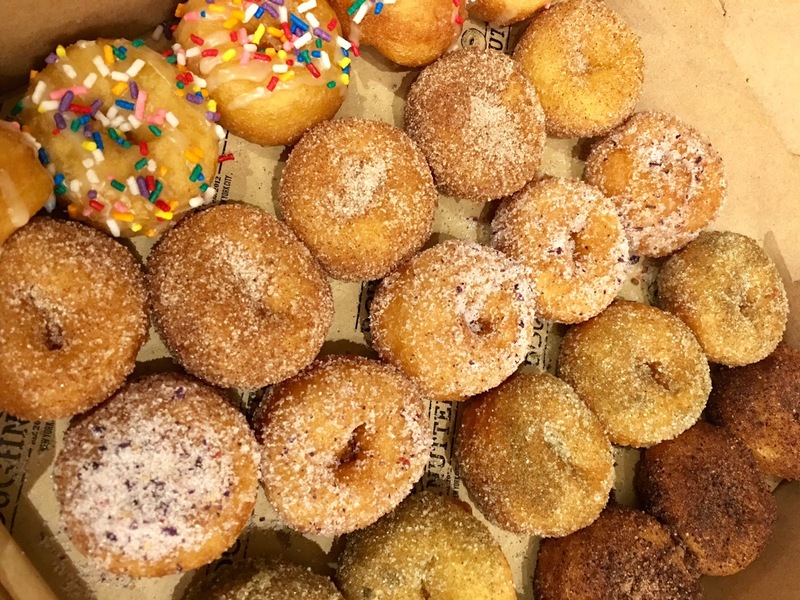 Because they're smaller, you can try several flavors - love that about the Doughnuttery! Admittedly, I went to Black Tap for their famous and ridiculous milkshakes. And yes, we got the crazy $15 milkshakes and I don't regret it! The presentation of the milkshakes is fantastic and definitely made for Instagram. Pictured are the Fruity Pebbles Shake and the Cookies & Cream Shake, which were both delicious! 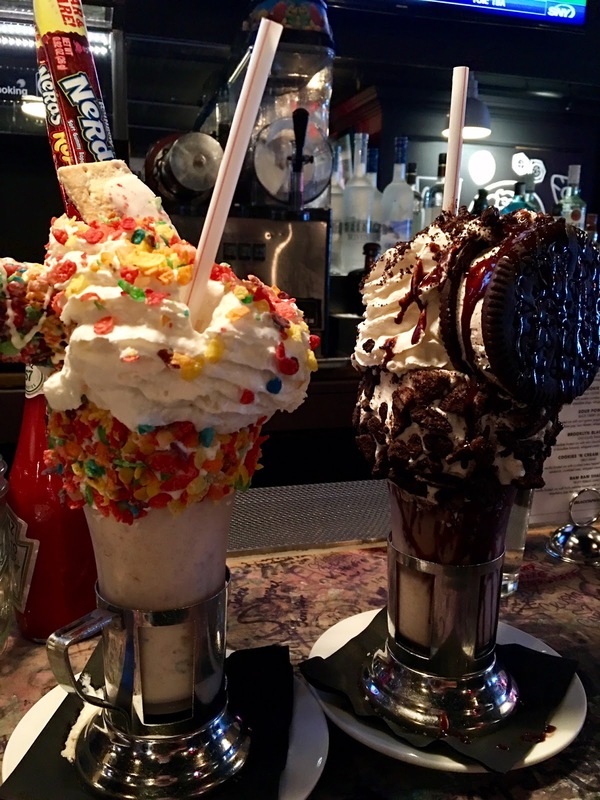 It looks huge but the actual milkshake portion is most likely a regular drink size; most of it is whipped cream and toppings. One thing I didn't expect though, was how delicious their burger was. 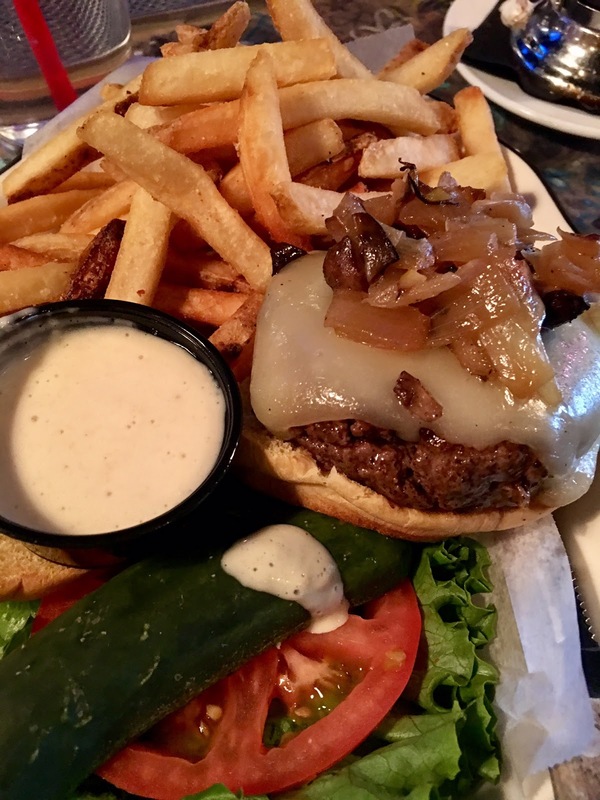 We ordered a basic burger and the patty was so juicy! Highly recommend Black Tap for burgers and a shake! Is there a cuter name for a restaurant? 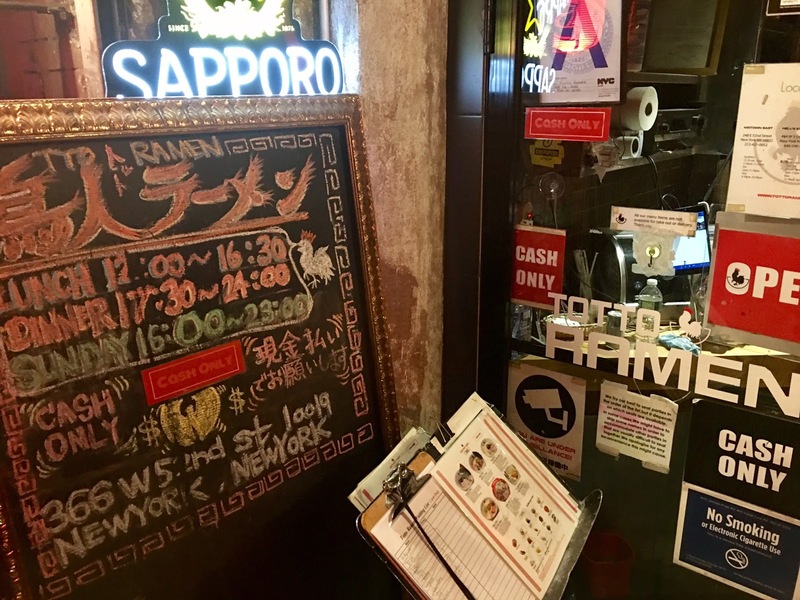 Bread & Tulips is located in the same building as the Hotel Giraffe on Park Avenue South, serving rustic Italian. When you go down the stairs into the restaurant, you're greeted by a warmly lit space decorated with tulips and a homespun vibe. 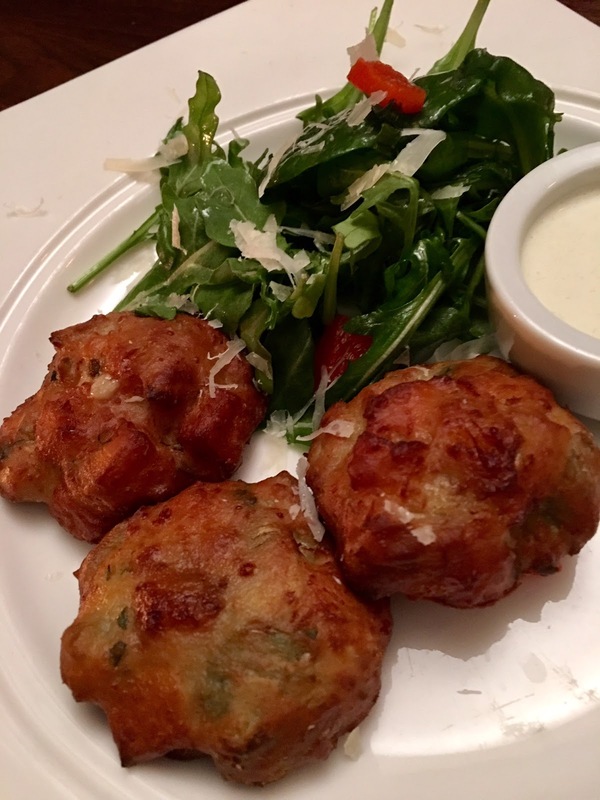 For food, we started with the Artichoke & Squash Frittelle, which we ate up quickly! They were tasty on its own but the lemon-rosemary aioli kicked it up a notch! 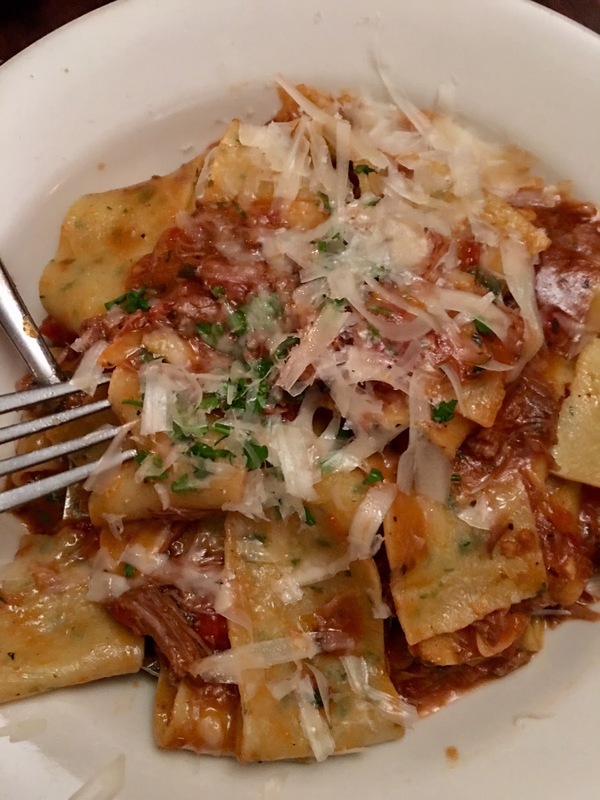 For entrees, we enjoyed the Hen-Of-The-Woods Mushroom Pizza and the Pappardelle pasta. 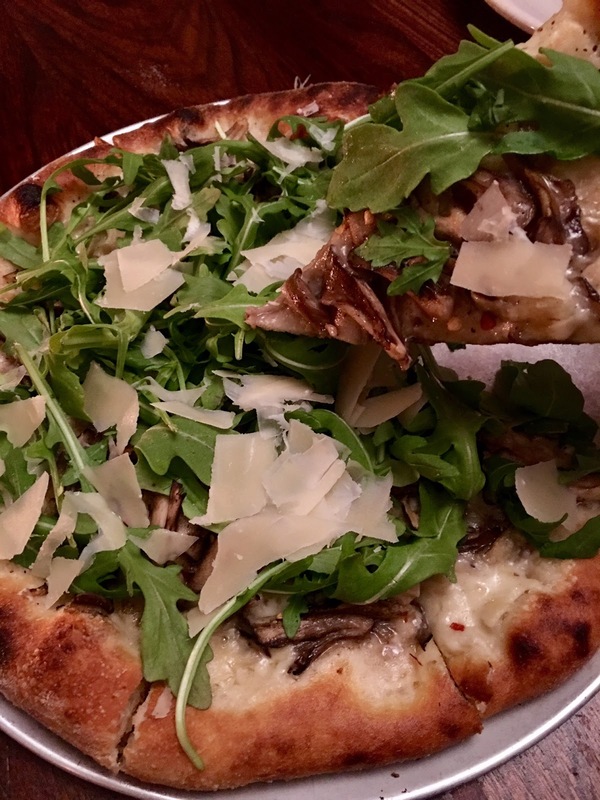 The mushroom pizza was delicious but my favorite was the crush - the wood-fire oven does an excellent job! The winner of the entire meal however, was the Pappardelle pasta. I can't pick which part was my favorite; the homemade pasta or the braised leg of lamb sauce. I'm drooling just thinking about it! I found out about Baked by Melissa a few years ago, when someone sent me cupcakes for my birthday. 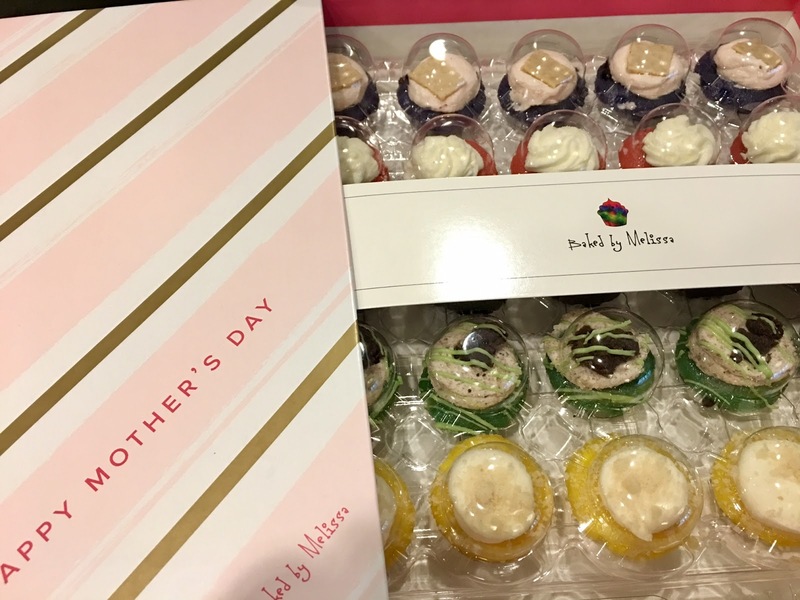 Baked by Melissa isn't just another cupcake shop. They sell bite-size cupcakes with fun flavors in perfect packaging! 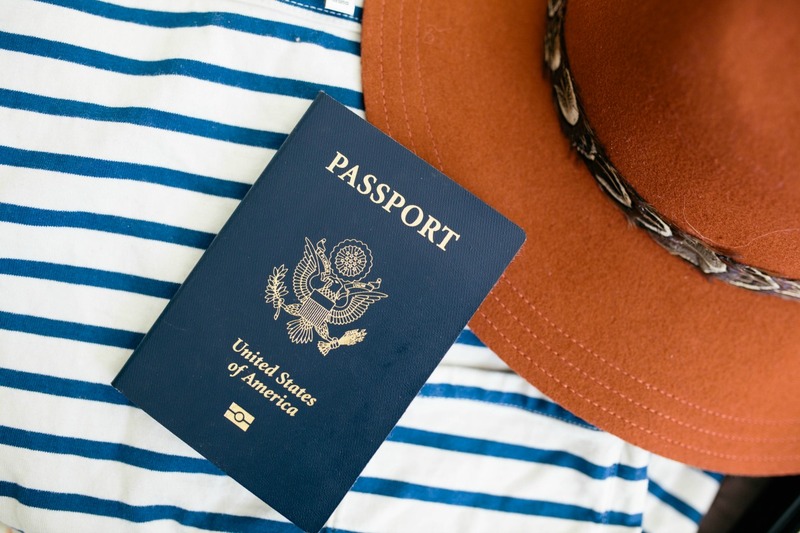 They're portable, transferable and makes for a great gift. My favorite? The Tye-Dye cupcake! Oh, and for all you gluten-free foodies, they have a menu for you too! When I googled, "cute coffee shops in Manhattan", Bibble & Sip popped up. Admittedly, I didn't pay attention to reviews after I saw the adorable alpaca themed cups and aesthetically pleasing cafe. They didn't disappoint, however! They have a unique line of drinks; we had the Early Grey Latte & Green Tea Latte which were both delicious! 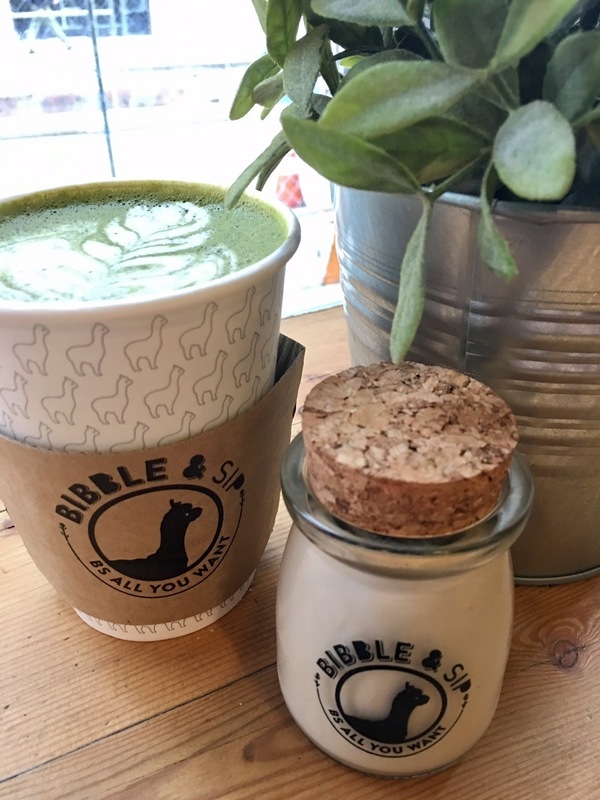 Bibble & Sip are also known for their cute jarred Panna Cotta and Matcha Cream Puffs! Unfortunately we got there too early for some of the dessert baked goods but the Earl Grey Panna Cotta was charming and delightful! We had a late, cold night in New York and was desperate for something hot. 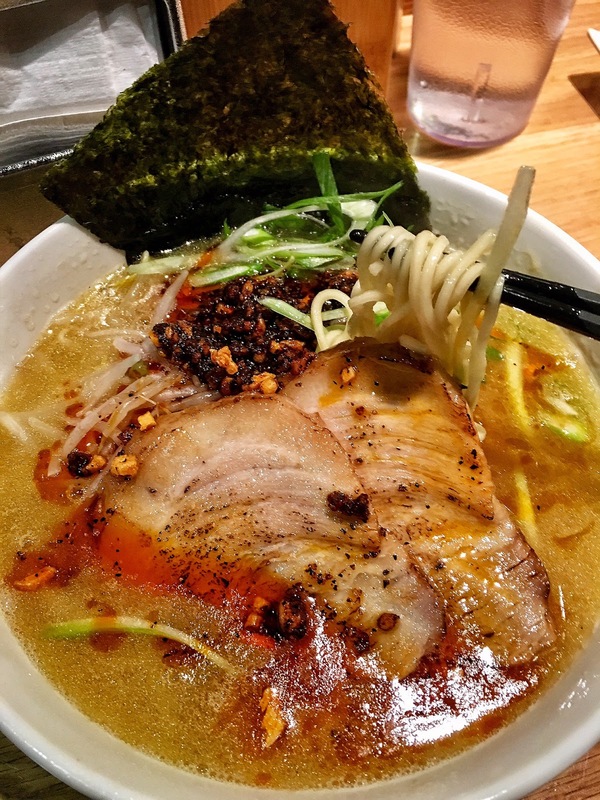 I have to admit, being from Japan, I'm a big ramen snob and wasn't expecting anything great. After reading great reviews though (and wanting some ramen! ), I was determined to try it. Supposedly, lines can be very long but we got there around 10PM and got seated immediately at the bar. Through the meal, it seemed like the lines moved quickly; people come and go so don't worry about waiting too long. 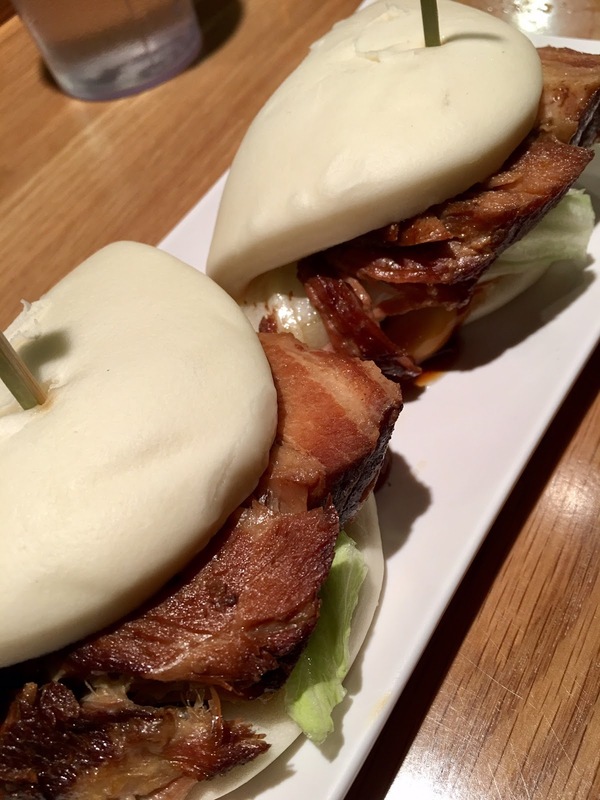 I ordered their famous pork buns and the Totto Ramen. They were both delicious, especially the soup - yum! Useful tip: it's cash only! Another all time favorite of mine. 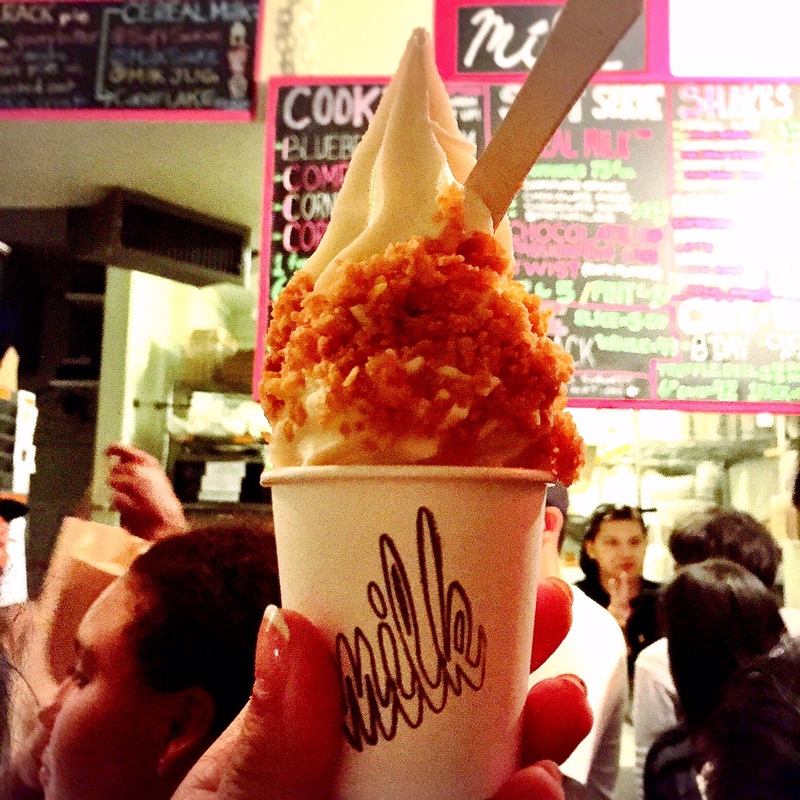 Every time I visit New York, I have to stop by the Momofuku Milk Bar for their soft-serve and cookies. If you love the taste of cereal milk, you HAVE to try their soft-serve with added cereal crunch. If I could, I would eat it every day and I guarantee I wouldn't get sick of it. The Momofuku Milk Bar also has the most delectable cookies. I always buy about 20 to bring back to California; some for friends....mostly for me :) My favorite cookie is their corn cookie. Think corn bread cookie-fied! 251 East 13th Street, New York, New York 10003 + 8 more locations! 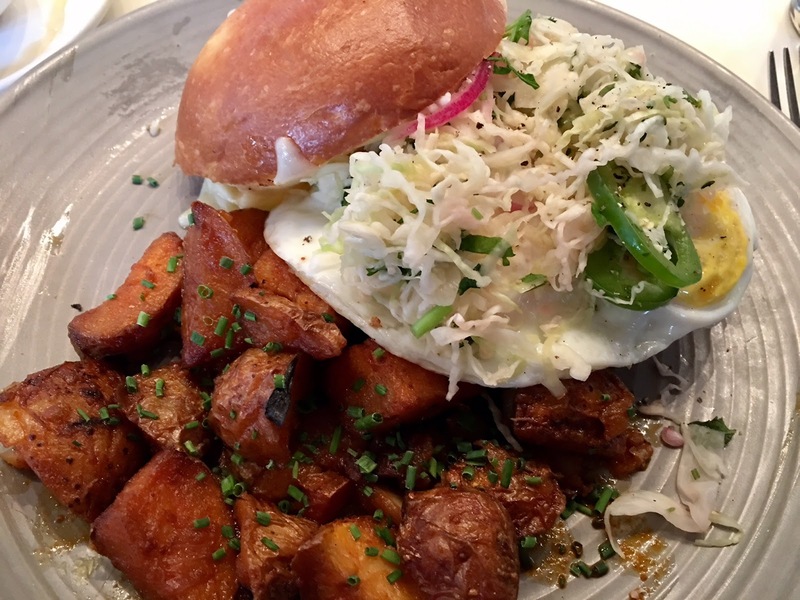 Brunch is my forte so I was thrilled when a friend who lives in Brooklyn had heard great things about Cookshop. It's really busy for brunch so make sure you make reservations via OpenTable. Pictured are the Beignets, Brioche French Toast and the Fried Egg Sandwich. 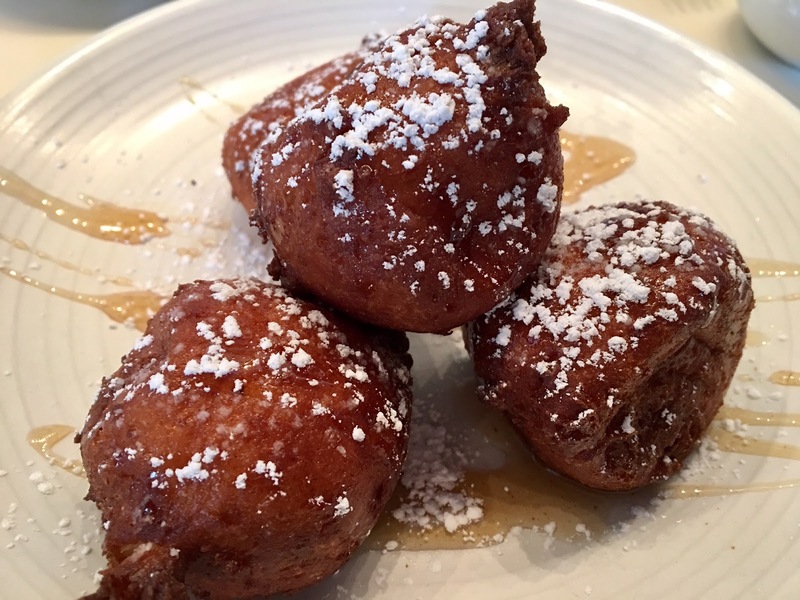 The Beignets weren't that impressive (try the Beignets from The Founding Farmers in D.C or Bottega Louie in LA!) but the French Toast and Fried Egg Sandwich were delicious! Don't forget brunch cocktails! The Rye and Chai was perfection. They also serve breakfast, lunch, and dinner. 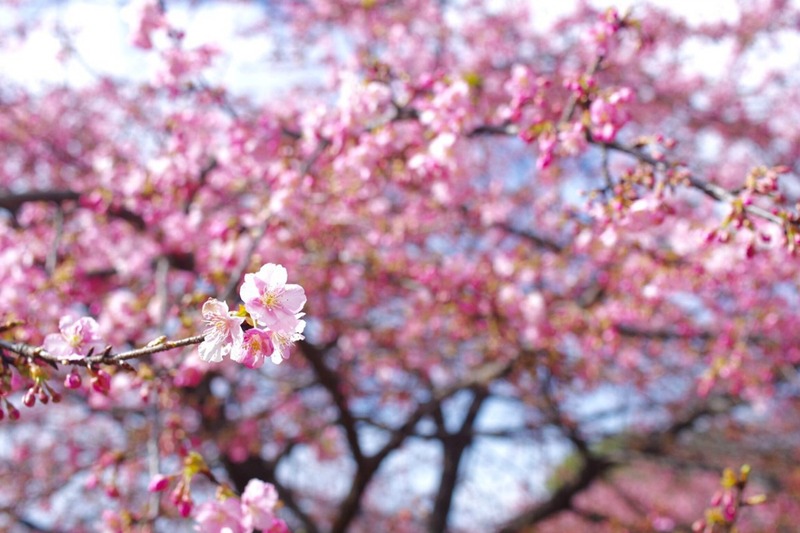 Have you been to any? Where are your favorites in New York City? Let me know, I'd love to try it out next time I'm out there! 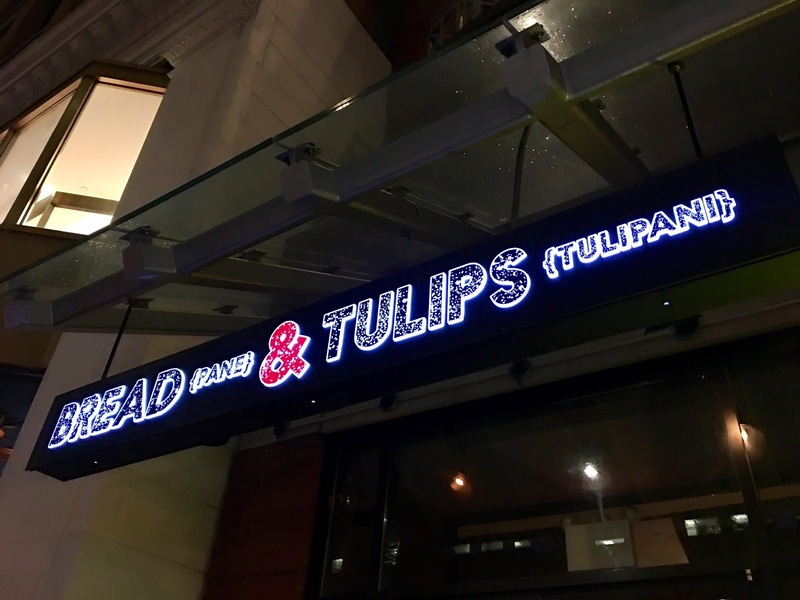 Disclosure: I was welcomed as a guest at Bread & Tulips. However, as always, all opinions are my own. OH gosh, why am I torturing myself by reading this post?? Literally drooling over every photo! I'm a big fan of carbs & sweets so this is all my kinda eateries! I love baked by melissa! Although i havent been to any of these other places. I do love eataly, always a great meal!